I loooove readathons and so does Amanda, so we decided it was time for one! What does this readathon entail, you ask? Well, read as much or as little as you want – the main point is to READ! You set your own goal! 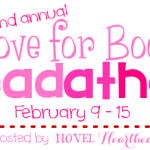 The Love for Books Readathon runs from Monday, February 17th at 12:01 am through Sunday, February 23rd at 11:59 pm. We will have at least one mini challenge sometime during the week for you to participate in! 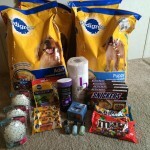 There will be a giveaway at the end of the readathon for all participants. Sign up at Novel Heartbeat or Confessions of a Bookie Monster. You may join whenever you like, but to be eligible for our grand prize giveaway, you must sign up by February 18th. 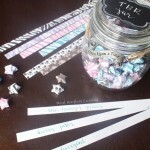 My TBR Jars are up on Etsy! Yay! I love Readathons! I’ll definitely be signing up for this. Yay! I’m super excited for this read-a-thon! :D Thank you for hosting it, and I’ve just thrown my sign-up post in there. This is my first ever read-a-thon, I’m so pumped. I have a question: Do I need to start this on Monday in my timezone or do I have to start at the same time with everyone else? 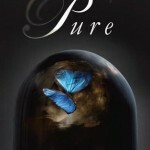 I’m sorry if it sounds so noob, read-a-thon virgin here, hehe. Thank you for hosting! I am thrilled to peaches to have found this readathon which starts the same day as the Wicked Valentine’s readathon ends! I was going to continue to read the books I picked out for Wicked Valentine’s, so this simply rocks! I selected books featuring romance & of elements of bookish love in the literary sense of ‘loving books & adventuring through their stories’! I’ll return once I have the post ready & add it to the linky! Wicked! I decided to switch things up a notch and I am focusing ONE AUTHOR: Leila Meacham! I’ll be reading a few other books besides hers (of course!) but my goal is to read through *at least! * 2 of 3 of her works!! Eek. Too happy! I’m definitely in, I’ll just do a sign up/starting post on the 17th, where I’ll keep track of my reading progress & what I’ll read, and sign up then :) Thanks for hosting! Mondays with Megan-Book Hangovers and Readathons 2/17/14 | YA? Why Not? I have been participating in the readathon quietly all week. I just forgot to sign up. Not surprisingly, this sort of rhinoplasty isn’t only inexpensive, but fast. publicity (all the tasks a journalist doesn’t actually want you to know. Once all of that is within place you decide to start earning from the blog. Without much effort at all you will be very much more educated for the subject.